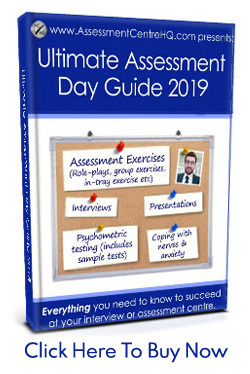 This Network Rail Ultimate Guide includes practice tests, coaching videos and dozens of top tips, tricks and insider-secrets for success in the Network Rail online assessment and the Network Rail assessment centre. Let’s get started! You can practice the Network Rail aptitude tests here. Before we look at each element in detail, let’s zoom out and look at the overall process. The Network Rail recruitment process is quite long-winded; there’s plenty of twists and turns. A good way to visualise the process is to picture it in four ‘phases’. Let’s take a quick look at each phase before we get into the detail of how to succeed. If you haven’t done this yet, you can find some solid hint & tips from Network Rail here. This is a pre-recorded interview to further scrutinise your candidacy. After you’ve submitted your online application and have been accepted onto the recruitment ladder, your next task is to pass the Network Rail online assessment. Your first challenge is the situational judgment test. The Network Rail situational judgment test is the first part of the Network Rail online assessment. This is an insightful psychometric test that allows Network Rail to quickly gauge your intelligence, your judgement and to clearly understand how you set priorities. In the Network Rail situational judgment test you will need to consider 16 different scenarios and rank three possible responses to each of them. The next two elements in the Network Rail online assessment are our old friends: numerical and verbal reasoning tests. This network rail numerical reasoning test is multiple choice and must be passed before you can complete the verbal reasoning test, so it really is vital to nail this one. You can expect to face 20 numerical questions. You have 20 minutes to complete the test. Expect to see questions on percentages, ratios, graphs and data tables. The test supplier used by Network Rail is SHL. This means you should only practice tests from SHL! As you’ll read elsewhere on this site, nothing will boost your chances of success more than practice. This improves both your competence AND your confidence. We always recommend these Network Rail SHL practice tests because they contain excellent explanations for each question. This allows you to see your strengths and weaknesses and gives you the opportunity to improve before the real test. This is transformative for your chances of success. 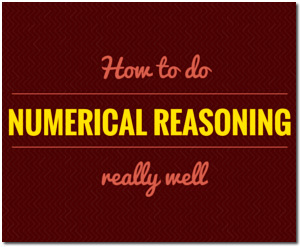 Check out our free numerical reasoning success guide for much more info and practice tests. The Network Rail verbal test is widely acknowledged as being harder than the numerical one. There is less time for the verbal reasoning test, just 15 minutes to complete 30 questions. You will need to read a series of dense paragraphs and answer questions based on what you have read. This is about being able to read accurately as well as quickly. We’ve written extensively about how to pass verbal reasoning tests elsewhere. You should check out our Verbal Reasoning Tests: The Ultimate Guide to learn 7 top tips for verbal reasoning success. You can practice the Network Rail SHL verbal tests here. Again, these tests includes full answers and explanations. Are you applying for the Engineering Tracks Graduate Scheme? If the answer is yes, you get to complete a further aptitude test (lucky you!) before being invited to the Network Rail assessment centre. You get to sit an inductive reasoning test too. This test is going to look at your ability to recognise shapes and patterns and to make decisions based on the patterns you spot. You will be shown a series of shapes/patterns/objects and will need to decide which one is missing, from the options given to you. The trick here is being able to recognise shapes from different angles and this can be difficult for some people. Don’t worry though, with plenty of practise you will be an expert. Aim to practice for 45-60 minutes a day for at least one week before the real rest. Check out our free guide: Inductive Reasoning Tests: 6 Essential Tips for Success to find out more about how to succeed in this form of aptitude testing. You can practice the Network Rail Inductive Reasoning Test here. This is the end of the aptitude tests in the Network Rail online assessment but there is still one online task before you can reach the Network Rail assessment centre: the web-based interview. Ok folks, one last hurdle before the Network Rail assessment centre. Let’s do this! Before we get into the specifics of this interview, it’s important you understand that you are about to fully engage with the company. You MUST have a good understanding of the history and present condition of the company. You need to do some research. This is huge, don’t skip this step. Make sure you have read up on the company and have an understanding of their history, their ethos and vision. Understand what parts of the company are generating the most revenue. What are their aims for the next 1, 3, 10 years? You can find Network Rail’s ‘Promise and Principles’ here and their code of business ethics here. Fancy a break from the heavy detail for a moment? This interesting video from Network Rail features successful graduates speaking about their experience working for Network Rail. Okay, let’s get back and track and look at the Network Rail web-based interview. This interview is pre-recorded. You have 7 days to complete the interview, so there really is no excuse for not giving a perfect performance! Think of this as great preparation for your face to face interview, at the Network Rail assessment centre. You will be sent a link to Network’s Rail interviewing hub and you will record your answers to the questions that appear on the screen. This will be a competency-based interview, so prepare yourself by knowing the relevant competencies inside out. You do know the core competencies of the role you’re applying for don’t you? If you don’t, then contact Network Rail’s HR department and request a copy of the ‘full job description’. It will contain the core competencies of the role – this is basically a checklist of exactly what Network Rail are looking for in the successful candidates. It’s gold-dust. This document should be your working bible, your ultimate reference point and compass that will guide you through the rest of the Network Rail recruitment process. ACTION POINT: Prepare examples from your past experience when you have demonstrated each of the competencies. This will be the basis of your interview answers. Don’t skip this important point. Competency-based interviews are an art and many fabulous candidates fail to get their preferred job because they don’t understand how to ‘play the game’ of competency-based interviews. STAR stands for: Situation, Task, Action, Result. For in depth interview advice check out our Interview Masterclass. Ok, next up, at long last, we’re heading to the Network Rail assessment centre! So you passed your web-based interview? What’s next? Finally you will receive your invitation to the Network Rail assessment centre. Where is the Network Rail Assessment Centre and what should I expect? Make sure you prepare in advance. Take all your documentation to the Network Rail assessment centre – such as your ID and updated CV. 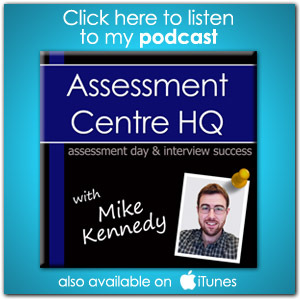 Use our article ‘what to expect at your assessment centre’ for an introduction to assessment centres in general. 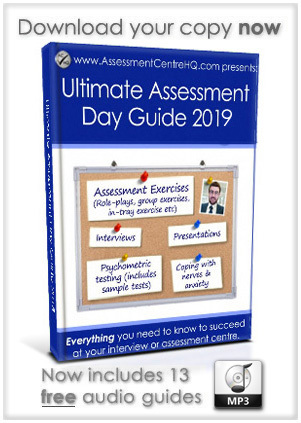 We’re going to insist that you read our guide: ‘How To Prepare For An Assessment Centre’ – you’ll find TONS of useful nuggets of info and proven tips here. Be sure to check out Network Rail’s Graduate Scheme Facebook Page – it’s packed with hints and tips from people that have successfully completed the Network Rail assessment centre. What are the exercises at the Network Rail assessment centre? Let’s look at each part of the Network Rail assessment centre in more detail. The first element of the Network Rail assessment centre is your group exercise. You are going to be assessed on your ability to work as part of a team. How well do you use your initiative? Are you a leader? Are you a pushover? Are you polite? Abrasive? Group exercises can be very tricky. You must find the right balance; you don’t want to appear as a weaker member of the group, nor do you want to seem like an overbearing bully. For Engineering Candidates – You will have to work as part of a team to build a structure from pipes and materials of several colours. You must build to a set of rules and follow the instructions provided. Your teamwork skills and your technical ability will both be assessed. You and your team have been stranded on a desert island – 70 miles from safety. You will be given 30 minutes to decide from a given list of items, what is essential and what isn’t, in order to reach the safe area. Whatever group exercise you face at your Network Rail assessment centre, expect to be in a group of 8-10 candidates, with 5 assessors watching over you and taking notes. Include everyone. Be the person that brings quieter group members into the fold. Offer to be the timekeeper. Subtly and non-aggressively this makes you a central player in the discussion. In the next part of your Network Rail assessment centre you will have to sit a numerical and verbal reasoning test (and for some, an inductive reasoning test). 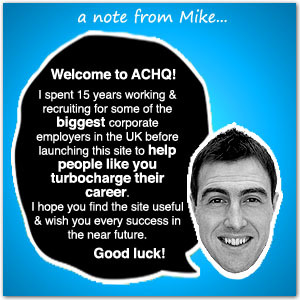 These are very similar to the ones you completed earlier on in the application process. You can practice the Network Rail tests here (includes full answers and explanations for each question). The part of the Network Rail assessment centre has a lot of candidates worrying. The case study and presentation is the bit that most people really dread. Don’t worry! Let’s look at some practical tips. For this assessment you have to provide a cost benefit analysis of two possible future projects. The information on both projects will be provided in a pack and you will have 30 minutes to review the information. Your analysis should help Network Rail decide which of the projects that they should proceed with, as they can only fund one of them. Once you have finished your analysis and decided which project Network Rail should pursue, you will be given up to 30 minutes to prepare your presentation. It must be 15 minutes long and you will need to use a flip chart as a visual aid. You will be expected to explain why you came to your decision and why you did not choose the other project. Once your presentation is over, you can expect to spend 10 minutes answering questions about your decision and your presentation. We’re almost at the end of the Network Rail assessment centre now. Check out this video that has top 5 tips on giving a great presentation. This is the last part of the Network Rail assessment centre. You’re nearly there! Let’s stay focused. Can you show your interviewer that you can demonstrate them? You will also be questioned on your specific role. Make sure you know the job description and competencies inside out. Describe times in your life that you have used these skills and -of course- remember to do so with a smile. Everyone wants to work with positive and friendly people. Does the thought of an interview fill you with dread? Read our article on ‘How To Cope With Anxiety About Your Interview’. Lots of candidates make the mistake of thinking they don't need to improve their CV once they've been invited to interview. 2) At interviews and assessment days, your CV will form the basis of your interview. (Whether the interview is competency-based or not.) You'll be expected to answer questions on your CV and usually to walk your interviewer through it. 3) This is the big one: After you've left your interview or assessment day, your CV will be held in the hands of the people who are making the hiring decision. They will literally be looking at your CV while making the hiring decision. Your CV summarizes the 'professional benefits' of you and is what leaves the last impression. So one last time: Your CV makes your first and last impression; it's a crucial document. Make is as strong as it can be. Visit the Network Rail FAQ Page, if you are looking for something that has not been covered here. You can practice the Network Rail verbal & numerical tests here (includes full answers and explanations for each question). Check out this forum for questions and advice posted by other candidates and attendees from the Network Rail assessment centre. 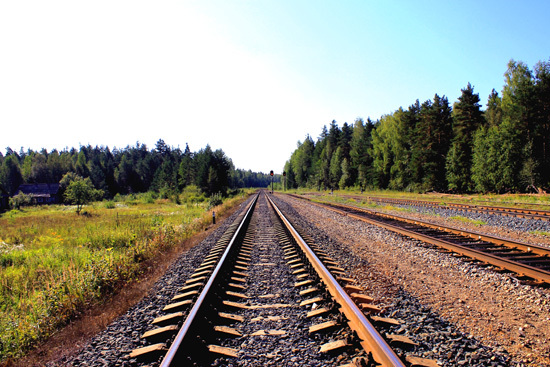 We hope you enjoyed this free Network Rail assessment centre guide? Did you find it useful? Good luck with the rest of your career; We wish you success with your Network Rail online tests and at your Network Rail assessment centre. Giving a presentation at your interview?